Marlin “Marty” Miller, officially announces his candidacy for the newly created Circuit Court Judge, Place 3, position for the 20th Circuit Court Judicial District encompassing Madison and Rankin Counties. Due to increasing population growth over the past decade in the two counties, the Mississippi Legislature passed H.B. 703 which called for statewide judicial redistricting and added an additional Circuit Court Judge for the 20th Circuit Court District. Miller has been an Assistant District Attorney since 2008 with District Attorney Michael Guest. Guest named Miller the Deputy District Attorney for Madison and Rankin Counties in 2011. Since 2011, Miller’s assigned case load has been felony violent crimes including capital cases involving murder and armed robbery. 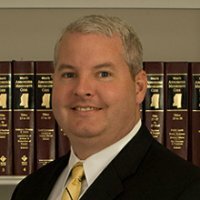 Miller also handles all DUI related violent crimes of death and mayhem, house burglary, business burglary, automobile burglary, kidnapping and felony evasions in Rankin County as well as major crimes involving the two counties. 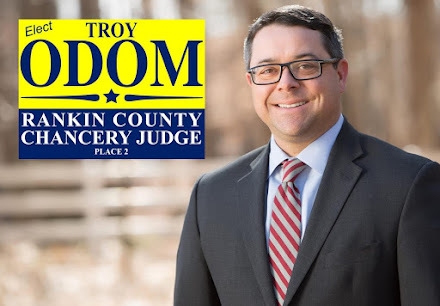 In his career as an Assistant District Attorney in the 20th Circuit Court Judicial District since 2008, combined with his tenure in the 7th Circuit Court Judicial District from 2001 - 2003, he has over ten (10) years experience devoted exclusively to the prosecution of felony crimes in circuit court covering thousands of felony cases. Here is the tragic story of Jaizen Pierre Riley's drowning in the Pearl River in Leake County. The coroner tells the Clarion Ledger that numerous people have drowned in that particular spot due to a strong undertow. The area is near the Bridge over the Pearl River on Hwy 35. 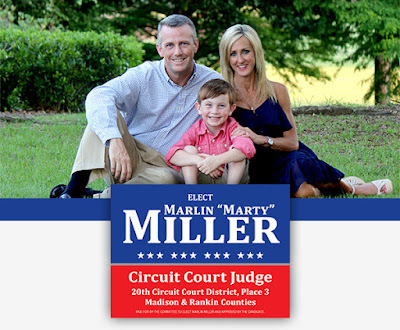 IN THE RUNNING - Along with my wife Karen, I would like to announce my candidacy for Rankin County Chancery Court Judge. My law practice for the past 35 years has been devoted almost exclusively to matters which are within the substantive jurisdiction of the Chancery Court. 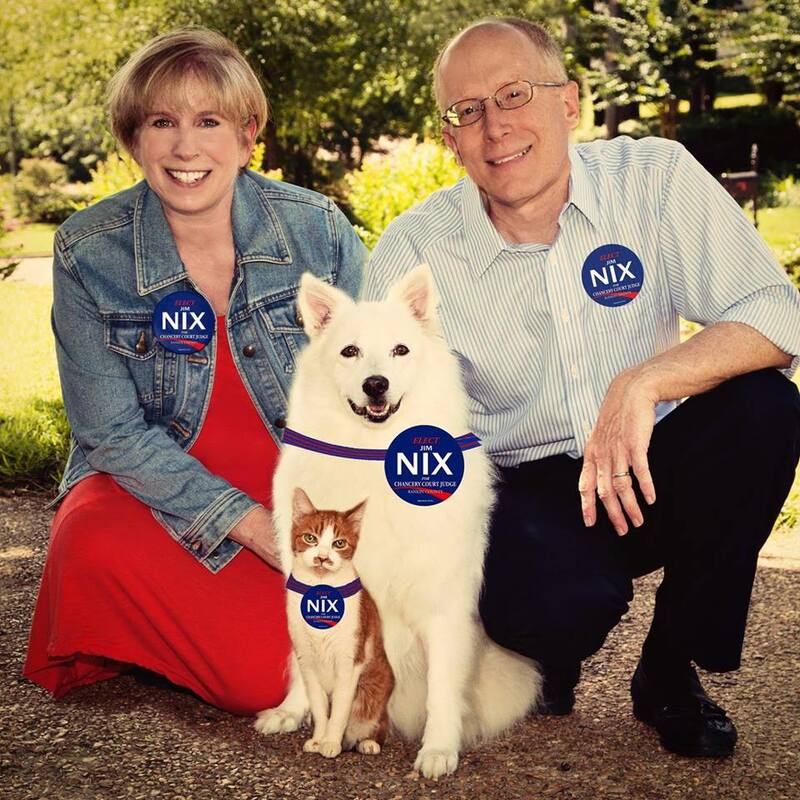 I ask for your support in the upcoming election on November 3rd. I want your VOTE, not your money. No campaign contributions will be requested. I appreciate all the encouragement I have received thus far and would ask you to SHARE THIS PAGE with family and friends. Not much is happening in Rankin County on Saturday, July 4, so here is an idea: Take your family to the Mississippi Championship Hot Air Balloon Festival at the Canton Multipurpose Center in Madison County. There is a balloon flight at 4 p.m. that evening where the balloons will attempt to land at the Multipurpose Center. During the flight time, the Multipurpose Center hosts a Kids Zone, Touch-a-Tractor, petting zoo, 5K and 1 mile run, live music, vendors, etc. There is a balloon glow at 8 p.m., and huge fireworks show at 9 p.m. This is one of my favorite events because it reminds me of growing up; when my parents would turn my brother and I loose at the County Fair for the evening with a little money in our pockets. City of Flowood Alderman, Kathy Smith, lost much of her home to a lightning strike Friday afternoon. 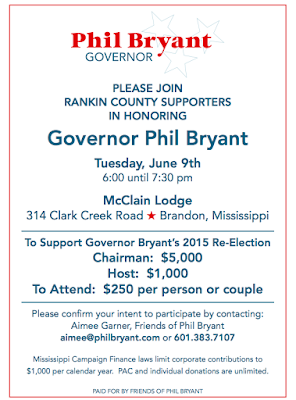 Below is an email sent by the Flowood Chamber of Commerce. 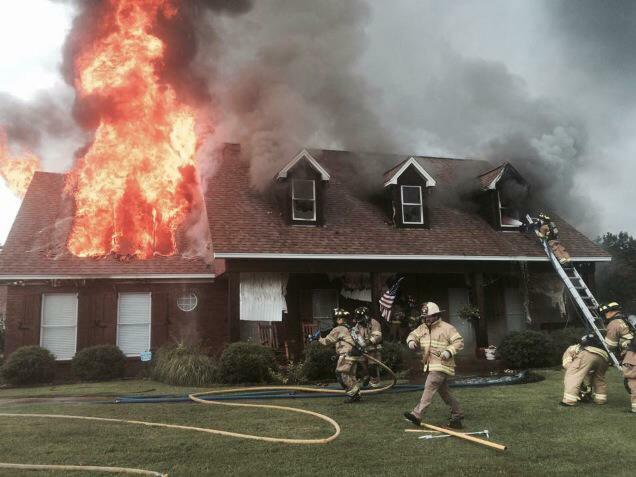 Once again, tragedy has hit close to home in the form of a another house fire. Alderman Kathy Smith's house was struck by lightening Friday afternoon. The Smith family will be in a hotel for the next 10 days and then in a rental home while their house is being rebuilt. Please keep the Smith family in your thoughts and prayers during this difficult time of loss. If you want to help, we are accepting gift card donations at the Chamber office. Thank in advance for your generosity. Madison County just experienced another earthquake. 3.2 on the Richter Scale according to the USGS. Reports on Twitter indicate some felt it on our side of the Reservoir. Marshall Ramsey, in classic fashion, warns of tsunamis on the Rez. Any readers feel it? If so, tell us what happened. The Donut Shop Cafe, in the gas station on the corner of Highway 471 and Vine Drive/Baker Lane, opened recently. I am happy to report the butter rolls and cinnamon rolls are identical to the original in Richland. Menu above. They also offer a full menu breakfast, and right now, they are offering 20% off donuts. Sour about the cancellation of the boat parade? 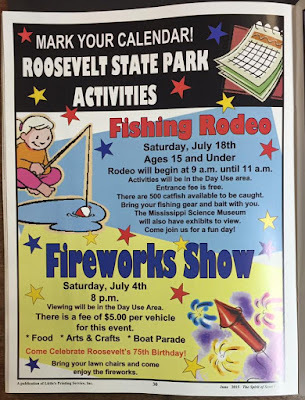 Register your boat for the big Fourth of July Celebration at Roosevelt State Park. 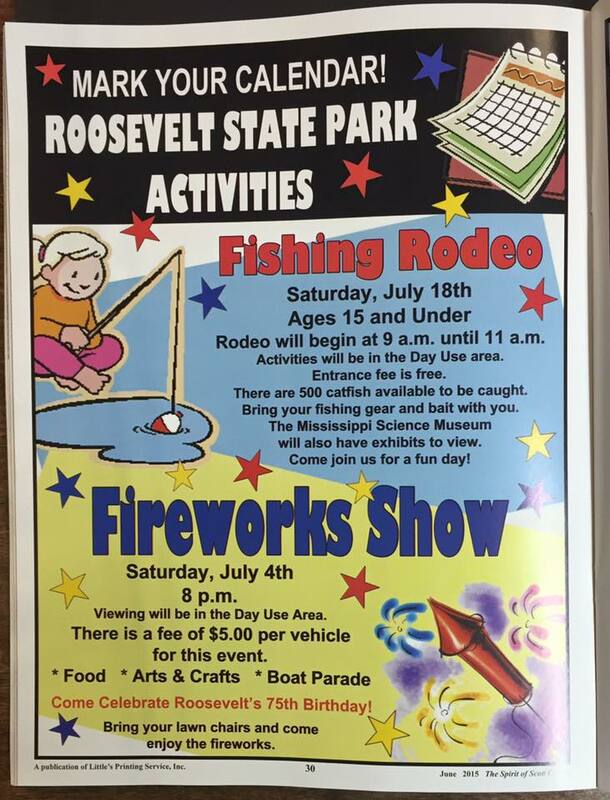 This event is sponsored by the Friends of Roosevelt State Park. 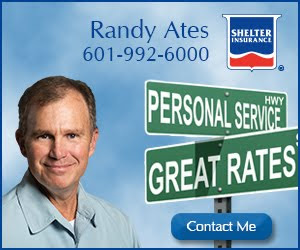 Call them at 601.732.6316. Another aspect of the "new look" Rankin Record is the ever popular Rankin County Jail Docket feature, updated on a weekly basis online. Searching the local docket just got easier. In my opinion, under new Editor & Publisher, Steven Watson, the Rankin Record has stepped it up in terms of content. In yesterday's edition, it contained the Rankin County Voter's Guide, which highlighted questions and answers with all Supervisor, Constable, and Coroner candidates. Very helpful. I encourage you to review. Start your Patriotism early. Here is a schedule of various Independence Day celebrations in the metro area. The M-Braves host the Pensacola Blue Wahoos tomorrow night. Flat Screen Friday, fireworks, Aaron Holbert bobbleheads. Independence Showdown Battle of the Bands is Saturday, June 27, at 5 p.m. at JSU. This is done in conjunction with JSU's band camp. I bet it's something to see. The Barnett Reservoir Foundation's Independence Celebration is this Saturday. Fireworks, live music, Waterfest, car shows, the whole nine yards. A more complete post with all activities is coming later. The City of Brandon hosts its Patriotism in the Park Festival on Thursday, July 2. It's at Shiloh Park and begins at 5 p.m. Space jumps, patriotic outdoor movie, fireworks. Celebrate America Balloon Glow on Friday, July 3, at Northpark Mall in Ridgeland. Mark Chesnutt headlines. Fireworks at 9:30 p.m.
Up the road in Livingston, Jason Isbell and Holly Williams play Livingston Live on Friday evening, July 3. Gates open at 4 p.m. Fireworks afterwards. Friday, July 3, 2015, Charles Esten is playing at Trustmark Park in Pearl. It's billed as an Independence Day Celebration. Fireworks after the concert. Mississippi Family Fest at Livingston Park in Jackson, from 3 p.m. to 8 p.m. I really don't know much about this. The Old House Depot in Jackson hosts a 4th of July Celebration (3 p.m. to 5 p.m.) featuring good food and the Southern Komfort Brass Band. Nice. Madison the City hosts its Fourth of July Celebration Saturday, July 4, at Liberty Park. Fireworks at 9:00 p.m. The Mississippi Championship Hot Air Balloon Fest is Saturday Night at the Canton Multipurpose Event Center. Kidzone, touch-a-tractor, balloon glow, fireworks, live music, petting zoo, etc. The City of Clinton has its 26th Annual Family Fireworks Extravaganza Saturday night at Traceway Park. The fun begins at 3 p.m.
Sandhill resident, Sidney Lawrence Smith, was arrested recently for distilling illegal liquor at his home. Snippets from the WLBT article are below. I love how the undercover agents needed to make "multiple" purchases. "75-year-old Sidney Lawrence Smith, from the Sandhill Community in Rankin County, faces charges connected with the operation of an illegal distillery (still). "Alcoholic Beverage Control agents conducted an investigation spanning six months, during which they made 'multiple undercover purchases of illegal whiskey." "On June 16, ABC agents assisted by the Rankin County Sheriff's Department executed a search warrant at Smith's home. "Mr. Smith was charged with the sale and possession of alcohol in a dry county, the manufacture of illegal whiskey, and the possession of a still." Cafe Lagniappe opened June 22 and is already receiving rave reviews. It is in the old Jo's Diner/B's Cafe location. Try it out for authentic New Orleans/Cajun style food. Come Join Us for a Fun Day of Golf at Patrick Farms While Supporting a Great Cause! The 7th Annual Foundation Golf Tournament will be held on Wednesday, September 2nd & Thursday, September 3rd. Shot-gun starts at 8am and 1pm. Lunch will be served at noon. To register your team, click here to download the registration form. 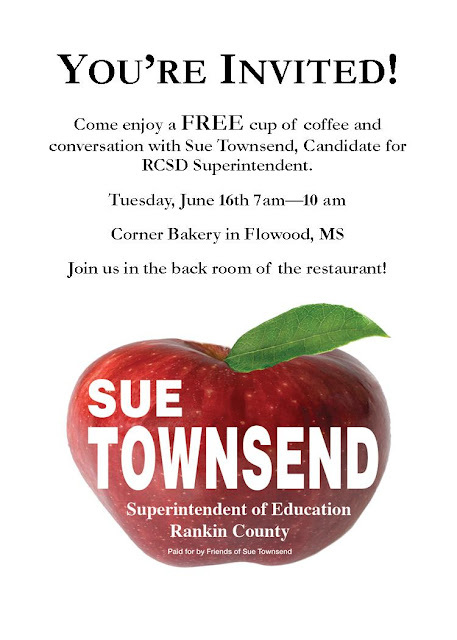 For questions, contact Robin Haney at 601.825.5590 or email her at robin.haney@rcsd.ms. We look forward to seeing you at this popular event to help make this year another great success for important Foundation causes. Our students greatly appreciate your generosity! Register with your payment by FRIDAY, AUGUST 14 to reserve your spot. » Registration begins at 7:30 a.m.
» Tournament final instructions at 7:45 a.m. and 12:45 p.m.
» Shot-gun start 8 a.m. and 1 p.m.
Patrick Farms requires proper golf attire (no denim, collared shirts required, soft spike course). Entry fee includes 18 holes of golf, hamburger lunch buffet, cart, and great prizes. Each foursome will compete in a scramble format (each team selects best shot from the tee through the last putt). There will be first, second, and third place prizes for gross team scores. Each team will be limited to three mulligans (purchase one for $10 or three for $20). This is a shot-gun tournament, so space is limited. Golfers will be accepted on a first paid and received basis. Cost for teams is $500 with a Hole sponsorship or $400 without a Hole sponsorship. The Barnett Reservoir Foundation and Pearl River Valley Water Supply District have announced that the fireworks show will launch at 9:00 p.m. to conclude the Independence Celebration at The REZ on June 27th. Old Trace Park and Lakeshore Park will open to the public at 4:00 Saturday to begin the day’s celebration. Both parks will be filled with activities for all ages, as well as serving as prime viewing sites for the coordinated firework show that ends the event. MISS103 FM will provide a simulcast of music to accompany the fireworks. Event hours are 4 p.m. to conclusion of the 9 p.m. fireworks show. Admission is free, but donations to Barnett Reservoir Foundation will be accepted at the gate to help pay for the fireworks. Many food and beverage vendors, including beer gardens, will be available at both parks. No outside coolers will be allowed. For the latest information on this issue and other related activities on the Barnett Reservoir, please check our Facebook page at www.facebook.com/PRVWSD. Below is information concerning boat ramp hours at the Rez during the Independence Day Celebration. The Rez News has blogged about EZ 87.7 FM in the past. Flowood's radio station that covers quality local sports (like Prep and Clinton football), hosts Outdoors With Jake Wimberly, and plays a ton of oldies. One show I want to highlight is Saturday Nite Sessions hosted by Gearshift Gary. Saturday Nite Sessions is an all request show, playing your favorite oldies from the 50's, 60s, and 70's. Its on 87.7 FM from 6 p.m. to 10 p.m. on Saturday nights. The call-in number for requests is: 601.376.9987. Gary is local, the show is live, just like before Pandora. Gary has an immense library of oldies (2 Terrabytes, he said) of oldies. I recently requested "Broken Arrow" by Buffalo Springfield, he pulled it right up. Check out Gearshift Gary's Facebook Page, and tune your dial to 87.7 fm. Be careful out there. You never know when a car will crash into the entrance of your local CVS Pharmacy. Woman crashes car into Flowood CVS Pharmacy. Patron injured. Here is the WLBT newstory. The lighted boat parade, part of the Barnett Reservoir Foundation's Independence Day Celebration has been cancelled due to lack of entrants. Folks, the lighted boat parade needs more registrants, or it will not happen. Register for it by going to this link, filling out the paperwork, and sending it in before noon tomorrow. There is a $500 cash prize for first place; $200 for second. From my observations, the boat parade is an important part of the Independence Day Celebration ambiance. I encourage you to consider entering your boat. Rusty Williard is one of those running for Chancery Judge of Rankin County. 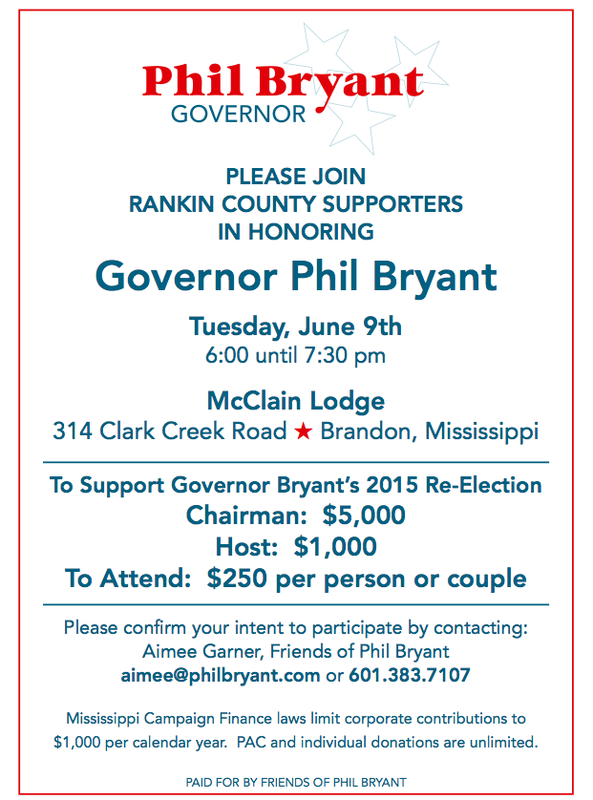 He is having a fundraiser reception June 23, 2015, at the Reservoir Community Center, from 5:30 p.m. to 7:30 p.m.
One Guy Steak and Chicken. It's this food truck on Old Fannin Road. 1500 Old Fannin Road, across from Christway Church to be exact. I haven't tried it, but those I trust have, and they say it's good. Below is the agenda for the PRVWSD Board meeting, set for tomorrow at 9:30 a.m. at PRVWSD headquarters in Madison. From robbing a couple in a bank parking lot on the Rankin side of the Rez, to intentionally sinking boats on the Madison side; crime proliferates. You may have heard the odd story coming from the Jackson Yacht Club where two boats were intentionally made to sink while moored in the club slips. Apparently a running water hose was left overnight in both boats, causing them to eventually sink. Reservoir Patrol is hot on the case. Teen vandals suspected. There are surveillance cameras, so, hopefully, that will bring the culprit(s) to justice. From the WDAM report, "The ski boat was probably brand new or at least close to brand new," stated a sailing instructor at the Yacht Club. Last night, around 9:30pm, Libby and Tony Sims' house caught fire. The fire started in the garage and quickly spread throughout the entire house. Luckily, they were all able to get out and no one was injured. As far as we can tell nothing is salvageable, including both cars. As always, in tragic situations the Chamber of Flowood family pulls together to help one another. In this case, our own employee. Please keep the Sims family in your thoughts and prayers during this difficult time. If you are wanting to help we are asking for gift cards to be dropped off at the Chamber office. We have also set up an account to help offset the cost of them getting back on their feet. The account is in the names of "Sims Benefit Fund." Donations can be made at any Community Bank location. A helpful reader sent me the renderings of the proposed fish camp restaurant off Spillway Road. These were passed out at the PRVWSD Shoreline Committee meeting yesterday. Looks like an abbreviated version of Lulu's. This is what the PRVWSD proposes to put in the wooded area between the Waterwood subdivision and Hwy 471 (where a "For Lease" sign is) off Spillway. Oddly enough, elements of the Hinds County Criminal System still trickle their occasional way into Rankin County to peddle their wares (remember this guy?). Yesterday afternoon, the Reservoir saw more of this when a Jackson resident decided to rob a Rankin County couple of their jewelry in a bank parking lot. A fight broke out, an assault occurred, a high speed chase ensued and, eventually, the sheriff's deputies rammed the suspects car to end the drama. All over a Craigslist transaction. Sheriff Bailey: "We are not going to allow this type of behavior in Rankin County, I promise you." Take a look at WLBT's story and video. WAPT's story and video are here. Ridgeland Parks and Recs posted a ton of pictures and videos of the Heatwave Classic on their Facebook Page. Check them out here. An incredibly important election coming up. Here is your chance to meet one of the candidates. Below are the minutes from the PRVWSD's April 2015 meeting. These are the most up to date available. There are plenty of interesting nuggets contained therein, including a discussion on the now-defunct lake usage fee, expansion (within the current boundaries) of the Timberlake Campground, and leasing of boat ramps by individual subdivisions within the PRVWSD, etc. Walt Grayson is a master at his craft. Link to WLBT Story. Below is a comment from a reader that needs its own post. The topic: development of the remaining timberland surrounding Pelahatchie Bay. I have lived on the Reservoir since 1968 and am proud of the actions of the Pearl River Water Supply District Board of Directors for their actions in developing walking and bike trails around Pelahatchie Bay. Recently I purchased a recumbant "Trike" and participated in the historically first Recumbant Bike Rally sponsored by BikeSouth. I have since been riding for my health 12 miles every other day around Pelahatchie Bay. It is pleasant and a blessing to live in an area of natural environs. This week I noticed while riding between Hwy 471 and Waterwood Subdivision the PRV has posted a sign saying that the beautiful wooded area adjacent to Plumber's slew is available for lease. I am aware that the legislature has not gotten it together about finances for the Reservoir from boat fees. I do think that is not a dead issue. But the development of subdivisions in the subject area offends me.The thought of commercial leases in the area is even more offensive. If I allow myself to reflect on what happened between my Subdivision of Bay Park and Reservoir Shopping Center several years ago when the Reservoir Board , despite our objections, leased duplexe lots for additional revenue, I can really get upset. Several years ago the Reservoir Board spent lots of money developing retaining walls along the waterway parallel to and just south of Northshore Parkway. There are several dirt roads leading from Northshore Parkway back into that area where the retaining walls are. To my knowledge no development has taken place along the center of the south side of Northshore Parkway west of Fox Bay Subdivision. Is the Board planning to develop that entire area? I understand that inflationary times are challenging. I do believe as residents and leasors of Reservoir property our opinions and desires should be heard. I intend to express my opinions to the PRV Board and hope others will do likewise. St. Mark's United Methodist Church VBS, "Hometown Nazareth", begins Sunday June 14, and runs through June 18. It begins at 5:45 p.m. each night and ends at 8:15 p.m.
River of Life Church VBS, "Journey Off the Map", begins Saturday, June 13, and runs through June 17. It begins at 6 p.m. each night and ends at 8 p.m.
Pinelake Kids Sports Camp, as detailed below. Shoot me more info of when your church is having VBS, and I'll get it up. -- Michael Wolf, with Page, Kruger & Holland, P.A. -- Chris Walker of Markow Walker, P.A. We will vote on these individuals on November 3 on a non-partisan ballot. Pine Lake Kids' Sports Camp begins Monday of next week (June 25) and lasts through June 18, 2015. It starts at 6 pm and ends at 8:45 p.m., so they will be good and tired when they come home. It's for K5 through 5th grade, and there is plenty of diversity of activity to please any palate. Register at the above link. Thanks to Jim McDowell's son, and his tireless effort, the domain name issue is corrected. Everyone can go back to the usual www.thereznews.com domain name, or not; either one work now. Thank you for your patience and understanding. 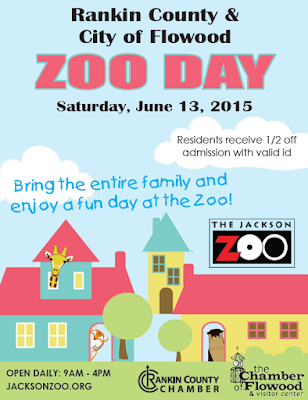 On Saturday, It's Rankin County and City of Flowood Day at the Jackson Zoo. Do not adjust your sets. 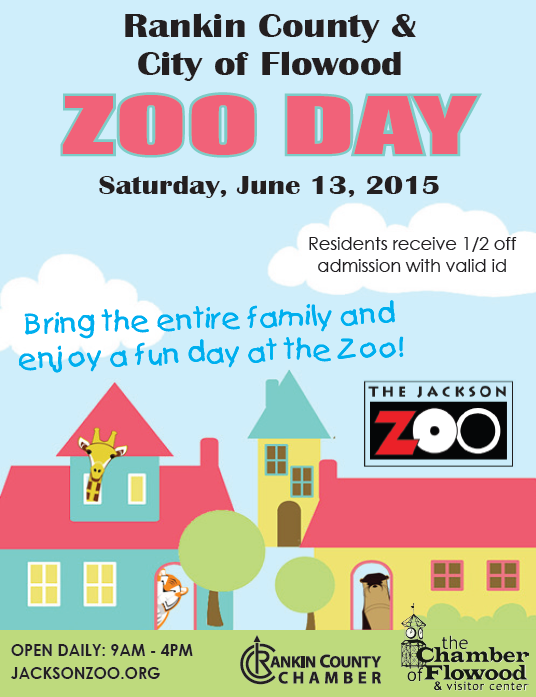 The Jackson Zoo is giving all Rankin County residents half-off zoo admission on Saturday. The Jackson Zoo also joined both the Flowood and Rankin County Chambers of Commerce, so there will be a ribbon cutting at 9:00 a.m. that morning. As a fan of the zoo, and the effect it's had on my kids, I encourage you to take advantage. Tis the season for political fundraisers. 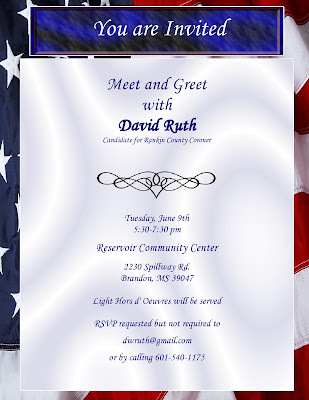 Tonight brings not only the below mentioned event for David Ruth at the Reservoir Community Center, Governor Phil Bryant is having one at McClain Lodge. The MS Agriculture and Forestry Museum is having an outdoor concert Friday, June 12, at 5 p.m., for the purpose of raising funds to help with rebuilding efforts following the November 2014 fire that damaged much of the grounds. It's called "Raising the Barn", and will feature The Black Lillies from Knoxville, Tennessee, and other, local bluegrass-ish bands. Buy your tickets in advance from www.ardenland.net. They are $10, and go toward a great cause. Props to Southern AgCredit for sponsoring the concert. No more Brandon Day. It appears the City of Brandon is concentrating their efforts on an emphasis on Independence Day. 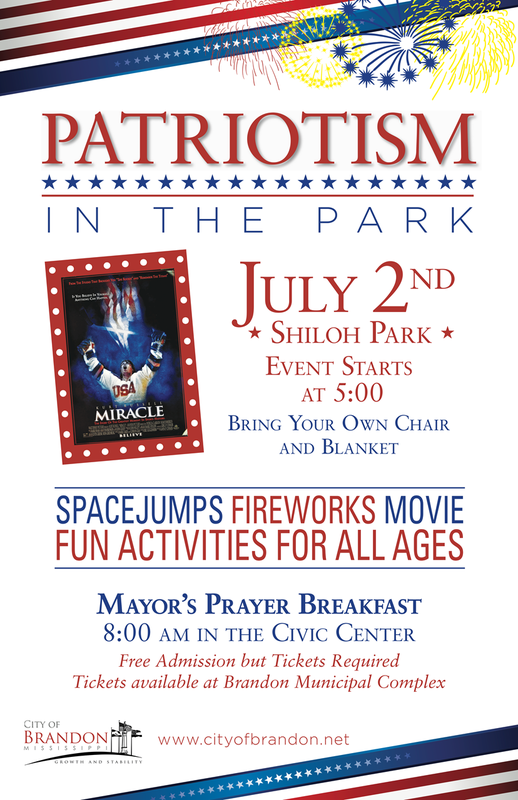 See the below flyer for their Patriotism in the Park program, and Mayor's Prayer Breakfast. On May 28, 2015, I took off for a family vacation through the wilds of the American West; ports of call at Terlingua, TX, Carlsbad, NM, Mesa Verde and Durango, CO, Holbrook and the Grand Canyon, AZ. In preparation of my vacation, I pre-scheduled a number of posts for the blog. Thereafter, I intended to quietly fall off the grid and spend time with the family. On Thursday morning, while at the Grand Canyon, Kingfish calls me to let me know the web site was down. Numerous other readers did the same. Though I was in sparse to non-existent internet range, I attempted to figure out the problem and correct it (much to my wife's chagrin). It turns out Jim McDowell had registered the blog at the www.thereznews.com domain name. That domain name costs money and the contract had run out without warning. At no time prior to Thursday did I realize this was an issue. Thursday afternoon, I was able to contact Jim's son, who has worked tirelessly with me since then to renew the domain name. Jim's son was able to renew the domain name, but for whatever reasons, the Google Blogspot generated blog will not redirect to the www.thereznews.com website. Though it may be user error, lack of effort is not the issue. As a result, I am forced to use the Google Blogspot domain name, which few know. Unfortunately, this is all I can do for now. Hopefully, this will all be cleared up, and I can return to the www.thereznews.com domain name in the near future. I apologize for the inconvenience. There is a push in the Reservoir area among area businesses to establish Black & Gold Fridays during Northwest Rankin High School's football seasons. The anticipated return is increased community pride and bigger profits for those businesses participating. Many thanks to a regular reader for letting us know Jimmy Johns Gourmet Sandwiches (sandwich shop # 2967) is coming to Flowood. The Heatwave Classic is Saturday. If you are like me, and in nowhere near the shape necessary to complete the Heatwave, consider the 5K Warrior Race in Brandon. That race, sponsored by Renasant Bank, and benefiting the CJ Stewart Foundation, takes place at Shiloh Park this Saturday at 8:00 a.m. More info here. Mississippi Braves are at Home! The Mississippi Braves are at home all week! Experience an evening of old fashioned family fun in a manner that hasn't changed since we were kids. Tonight is a double header, and it's ladies night. All ladies receive free admission and adult beverage until 8 p.m. It's also $2 Tuesday, with hotdogs, popcorn and 16oz. soft drinks just $2. Thursday is Special Commemorative Hall of Fame Tri-Bobblehead Day. The first 1,500 get a bobblehead of either Tom Glavine, Bobby Cox, or Greg Maddux. It's also Thirsty Thursday, with $2 domestic beer and fountain drinks. Friday is Friday Night Fireworks and Flatscreen Friday. It's also Wounded Warriors of Mississippi Awareness Night. 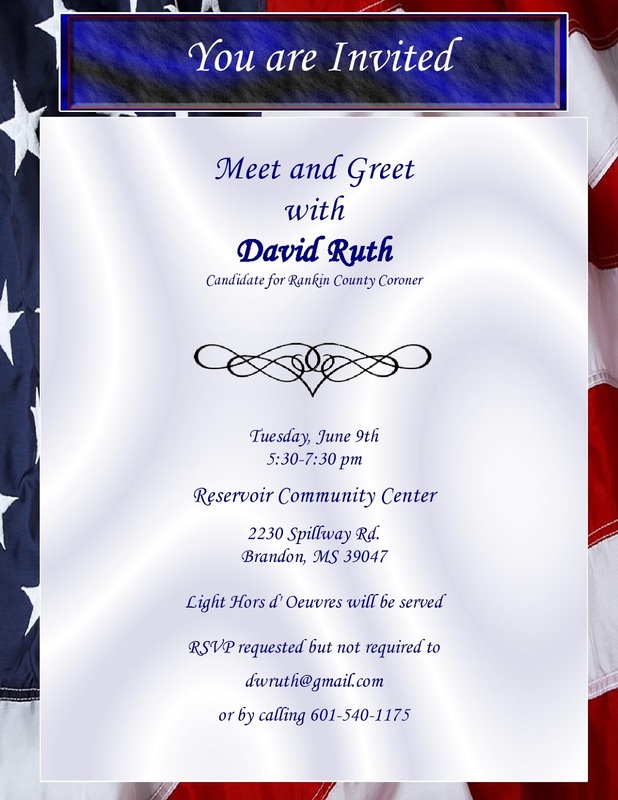 The Rankin County Republican Club hosts their next social function tomorrow from 5:30 p.m. to 7:30 p.m. at Soulshine Pizza.